ADA PALMER is a professor in the history department of the University of Chicago, specializing in Renaissance history and the history of ideas. Her first nonfiction book, Reading Lucretius in the Renaissance, was published in 2014 by Harvard University Press. She is also a composer of folk and Renaissance-tinged a cappella music, most of which she performs with the group Sassafrass. 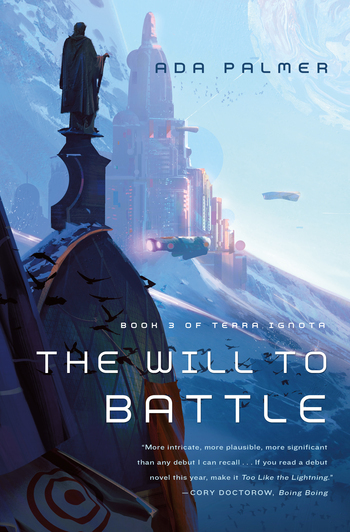 Ada is the author of the Terra Ignota series, including Too Like the Lightning, Seven Surrenders, and The Will to Battle.